Alexander Rudensky described himself as a Russian-American scientist. Alexander Rudensky's research helps to better understand autoimmune diseases. 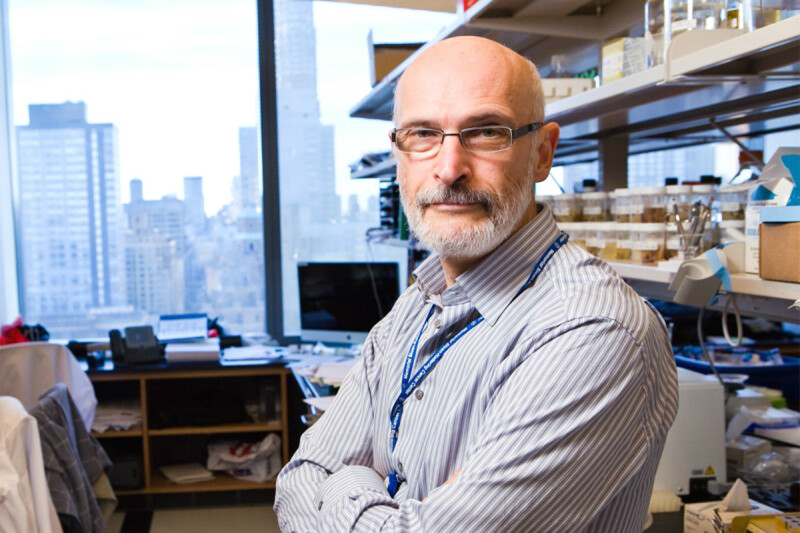 Immunologist Alexander Rudensky, a Moscow University professor who now lives in New York City, has won the 2017 Crafoord Prize. He shares this honor with Shimon Sakaguchi of Osaka University in Japan, and Fred Ramsdell of the Parker Institute for Cancer Immunotherapy in San Francisco, according to a statement on the Royal Swedish Academy of Sciences' website. The prize of 6 million krona (about $670,000) was awarded ``"for their discoveries relating to regulatory T cells, which counteract harmful immune reactions in arthritis and other autoimmune diseases," the statement reads. T cells "can be regarded as our immune system's security guards. They put a brake on cells that are overzealous and attack the body's own tissue. There are hopes that their discoveries will lead the way to new, highly effective treatment methods for autoimmune diseases, such as rheumatoid arthritis, MS and type 1 diabetes," continues the official statement. The Crafoord Prize is an annual award that is regarded as an affiliate of the Nobel Prize, and hence the most prestigious honor in medicine. The award ceremony will take place in Stockholm on May 18. Can diabetes be cured by modifying brain activity? The prize was launched in 1982 when Soviet mathematician Vladimir Arnold and his American colleague Louis Nirenberg were honored for their research in the theory of nonlinear differential equations. Dr. Rudensky began his scientific career at Lomonosov Moscow State University (MSU) in the 1970s, and though he lives and works in New York City he officially remains a professor at MSU's immunology department. Dr. Rudensky is currently director of Memorial Sloan Kettering's Ludwig Center for Cancer Immunotherapy in New York City.